So here we are, episode number 19!! I am amazed the show has lasted aslong as it has and has had a very loyal following from the first day. Today we are joined by Russian metallers Flowers Of Pain. Now this interview has been so long in the making and should have been done many moons ago and as you will hear it is plagued with sound issues. Alas Ilya has given the go ahead so here it is folks! Russian funeral doom-esk band Flowers Of Pain are as underground as underground can be. With no label backing they work to release and promote the music all themselves and I am so proud i discovered them as i find there album “The Way Beyond” a pleasure to listen to. 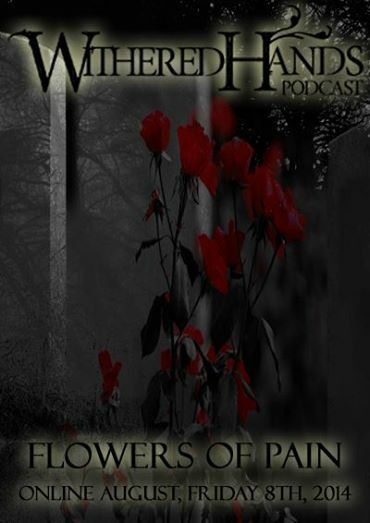 You can check the band out at facebook.com/flowersofpain, or the vk.com version and on these sites you can download a free copy of the release. To enjoy yourselves. I am unable to give a track listing today as my computer will not allow me to show russian words for some reason. However the tracks played are tracks 1 and 3 from the release. Please enjoy and show your support and follow the band!! Sorry for no intro, my mic literally broke today so some interviews are on hold, however this does not spell the end for the show! !…keep your eyes peeled for more Withered Hands shows to come!! You’ll be amazed by the artists we have coming on! !